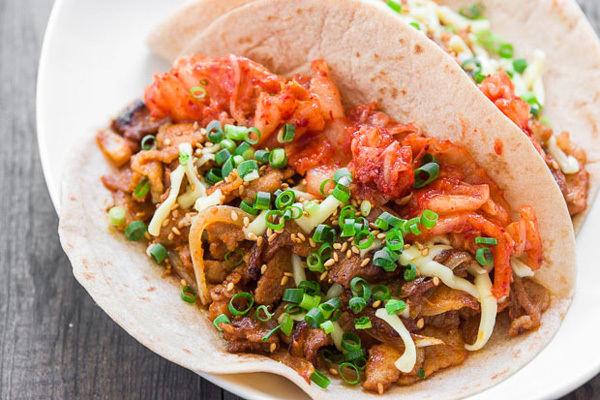 Although food trucks around the country have been dispensing Korean-style tacos for some time now, the culinary combination may seem a bit odd to the uninitiated. 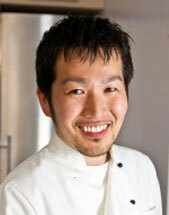 If you set the geographical distances aside, though, the two cuisines are a natural fit. With wrapped grilled meats and bold flavor profiles loaded with garlic and chili peppers, there’s enough common ground to play well together, and yet, enough differences to make something exciting and new. 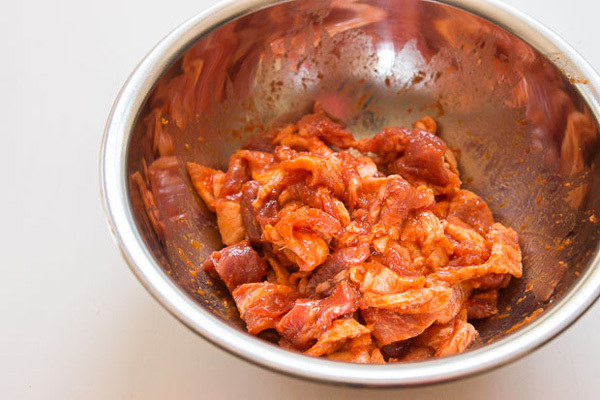 For my version, of Korean-style tacos, I marinate pork belly in a sweet and spicy gochujang-based sauce that’s accented with ginger and garlic. 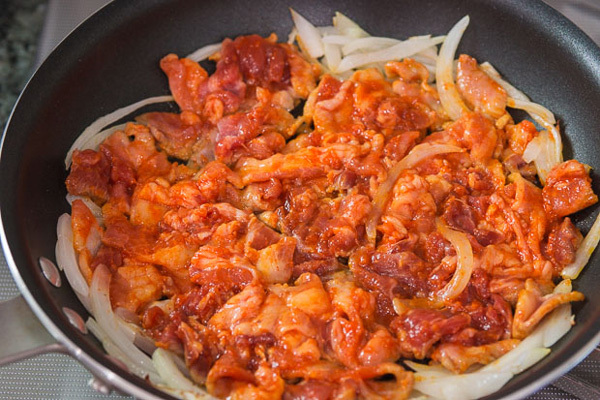 Sautéed with onions until the sauce caramelizes around the meat, this alone would be delicious with a bowl of rice, but stuff this magic meat into a warm tortilla with some kimchi, cheese and scallions, and two cuisines collide in a sublime mashup of flavors and textures from opposite ends of the world. Taking this one step further, this combination also works well wrapped in a large tortilla along with some rice and beans to make a burrito. You can even make nachos out of this by sprinkling the cheese over tortilla chips and microwaving to melt the cheese before topping with the pork belly, kimchi and scallions. 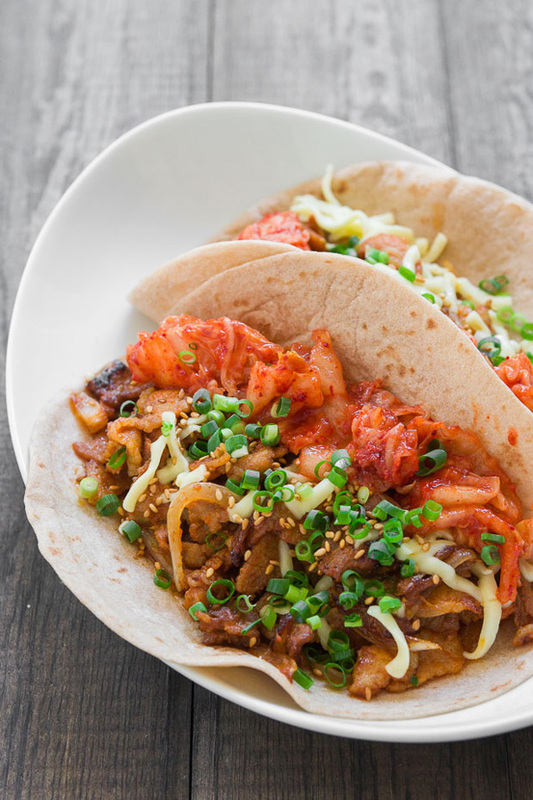 Enjoy the collision between Korean and Mexican food with these sweet and spicy tacos. In a bowl, whisk together the soju, gochujang, soy sauce, sugar, garlic and ginger. Add the pork and mix to combine. Let this marinate while you prepare the other ingredients. Put the sesame oil and onions into a frying pan over medium high heat and sauté until the onions are just starting to brown around the edges. Add the marinated pork, and spread it out into a single layer. 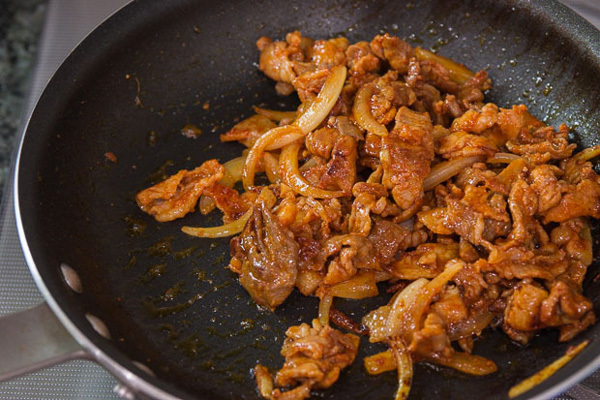 Let this fry until browned on one side, and then stir fry until the pork is cooked through. 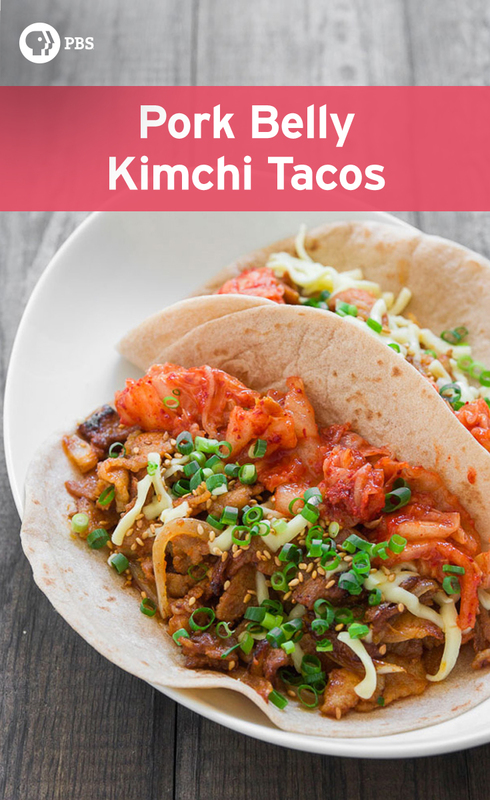 To make the tacos, heat the tortillas and place a layer of pork, followed by the cheese, some kimchi, scallions and sesame seeds.